In what is known as a move to enhance its market position across the globe, leading additive electronics provider, Nano Dimension, announced in an official release that it has entered into a reseller agreement with South Africa-based firm EDA Technologies. Under the agreement, EDA Technologies will purchase Nano Dimension’s award-winning DragonFly 2020 Pro 3D printer and use it for demonstration and training purposes. Marking another addition to its strong reseller network, the agreement with EDA Technologies has been considered as one of the milestones for Nano Dimension and a step towards furthering the company’s efforts to expand its base globally. EDA Technologies will introduce the DragonFly 2020 Pro in South Africa and will also offer local customer service to Nano Dimension’s customers. EDA Technologies is an establish service provider with more than 20 years of PCG engineering and electronics consultancy experience. For years, EDA Technologies has been offering “concept to complete” electronics solutions, professional turnkey electronics product development and manufacturing services in South Africa. 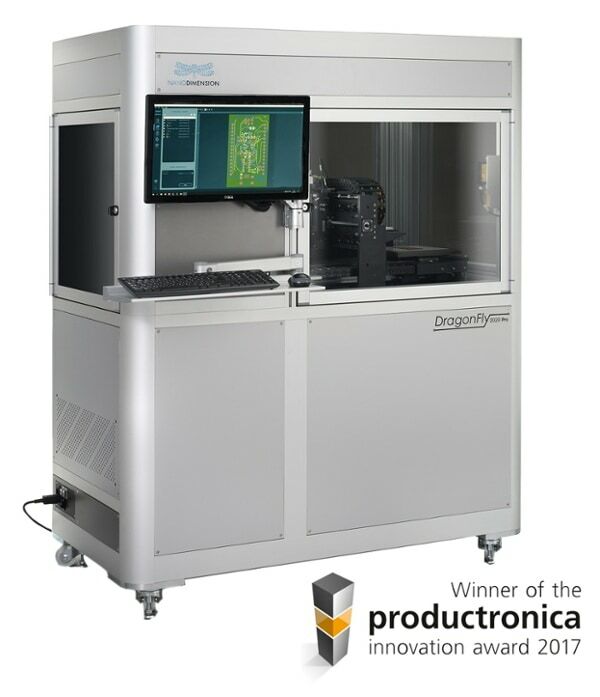 By offering the DragonFly 2020 Pro, EDA Technologies will only add to its comprehensive range of product offers and will now be able to provide high-quality 3D printed electronics solutions to its customers. “Together with Nano Dimension, we will help our customers to fully utilize the latest world-class additive manufacturing technology in their products, while also drastically shortening time to market in the highly competitive marketplace, noted Amit Dror, CEO of Nano Dimension. “EDA Technologies has a wealth of PCB knowledge and hands-on experience. We welcome them to our global network. As our dedicated reseller in South Africa, they will provide customer demonstration services with a DragonFly 2020 Pro 3D Printer that they purchase and operate. By combining our knowledge of additive manufacturing with EDA Technologies’ excellent customer support capabilities and infrastructure, we are ideally positioned to expand our solutions’ availability through sales and our recently opened on demand service for 3D printing of smart products with the DragonFly 2020 Pro 3D Printer”, Dror concluded.